One of the most basic parts of car ownership is caring for the battery. At the same time, we need to work with it so seldom that it’s easy to forget some of the basics. In particular, many people quickly forget how to properly and safely use jumper cables. At most most of us will only need to use them once in any given handful of years. That’s just enough time for anyone to get a little fuzzy on the details. So, how should one properly use jumper cables? Grab a pair of gloves (learn about disposable mechanics gloves) and let’s get started! The first step is the most vital, and it’s one that is almost never actually taught to people. The most important fact also has nothing to do with the actual hardware, but rather the hardware’s owner. The first and most important rule is that placing the cables is a one person job. A little miscommunication when placing the jumper cables can be catastrophic, and it’s easily avoided by simply having one person handle the task himself or herself. Once someone takes the reigns as the person who’ll connect the cables, it’s time to actually start the process. The person will be working with two vehicles, car 1 and car 2. Car 1 has a charged battery and car 2 has a flat battery. Car 1 should not be running, and obviously car 2 won’t be either. 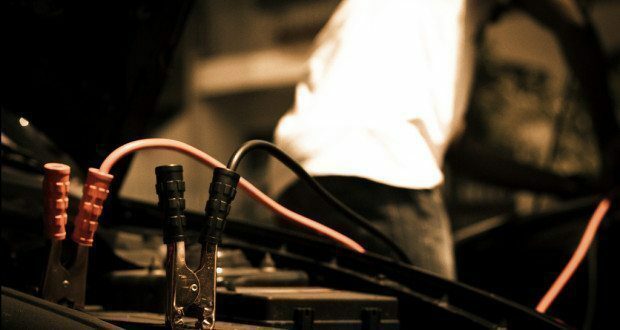 One should take the red jumper cable and connect it to the positive terminal on the dead battery. Then connect the other side of the red cable to the positive terminal on the live battery. Next up, one will need to connect the negative terminal. This is a step which confuses a lot of people. One won’t connect the negative terminal on the flat engine. Rather, one needs to take the black cable and ground it on car 2. Basically, this simply means taking the cable and clamping it onto any non-painted metal surface under the hood. The other end of the black cable should go to the negative terminal on car 1’s battery. Next, one should always double check the connections. For something as valuable as one’s car, it’s of the utmost importance to be especially careful that nothing went wrong. Double checking the connections should never be seen as optional. Ensuring that the connections are sound should always be considered as important as any other part of the process. One shouldn’t try tugging on the clamps, but rather just look it over one more time to ensure everything’s in place. The next instruction is to start the engine on car 1. If you’re giving your motorcycle a boost we actually recommend you leave the car OFF. 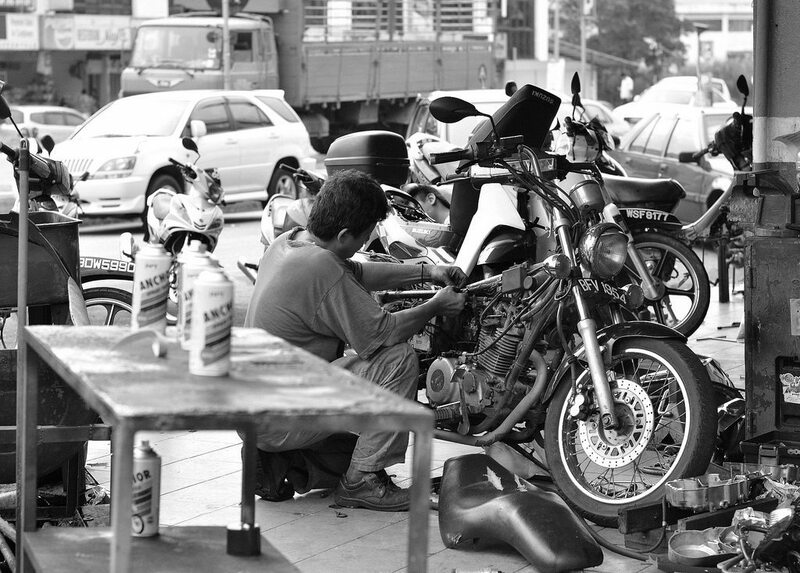 A motorcycle and its fuses are not meant to handle the same kind of power a car is. Don’t fry your motorcycle, proceed with the car power turned OFF. Now, someone should start the engine on car 1. One should also lightly step on the gas until the RPM reaches around 1,500. This process ensures that the battery will build up enough voltage to power on the second car. Once this process is completed, a person in car 2 should start their engine. Lastly, one should let both cars run for about five minutes. This will give the battery time enough to charge up. Afterwards it’s a good idea to drive car 2 for at least a half hour to ensure everything is running smoothly. Note: Again, this is a difference between cars and motorcycles. Cars have alternators. Motorcycles have generators or magnetos. Alternators do a better job of converting power at low RPM. 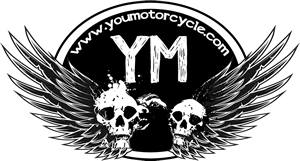 Running a motorcycle at idle will not charge the battery, nor will a short ride. If these instructions seem a little over cautious, it’s because a simple slip can destroy both cars and lives. For example, consider the case of a misplaced clamp. If one directly feeds the negative terminal on car 1 to the negative terminal on car 2 it could create sparks. In and of itself, this might not seem like a huge problem. However, if the battery has a leak than this might be enough to cause an explosion. Or consider the reason why it’s important to only have one person putting the cables in place. If two people try to do it, a little miscommunication might result in a positive to negative connection. While that probably won’t cause any huge damage, it’s still enough to potentially take a good chunk of a battery’s life out of it. Basically, a little extra care when jumping a battery is vital. It’s not only for the safety of yourself and your car, but for the person you’re helping out as well. Nobody wants to see a good deed turned into a painful memory. I admit to being lazy about the connection – I almost always just connect to the battery terminals on both vehicles. I learned a lesson about leaving the car off while jumping a bike twenty years ago. I was lucky – I only blew a main fuse; it could’ve been much worse. Your rule #1 is a good point, and one I’ve never thought of before. Thanks for the tips.